Complex Popular singer-songwriter Khalid released his sophomore album, “Free Spirit,” on April 5. Released on Friday, April 5, the artist’s newest album runs 17 songs long and includes lead single “Talk,” which was released on Feb. 7, two months prior to the debut of the album. The R&B singer who once took the music world by storm with his song about the genuine teenage experience now seems to have stooped to the normal level of commercialism most people expect from top-selling artists. Khalid’s high point on the album comes from “Talk”: Featuring production from English electronic music duo Disclosure, the song rides a rhythmic yet smooth instrumental that the listener can sway to. Khalid displays his wide vocal range as he traverses the chorus and hearkens back to some old themes of innocent love as he begs his partner to just speak with him. However, Khalid’s request to “figure out where we’re goin’” at the end of the chorus appears to foreshadow the uncertainty of the rest of the album. “Bad Luck,” a run-of-the-mill track about Khalid’s apparently never-ending list of unfortunate relationships could not be more emblematic of the greatest flaw of “Free Spirit.” With an inoffensive guitar-based instrumental, the track can easily play in the background of a crowded room with absolutely no one batting an eye. The nonchalant vocal melodies exemplify how Khalid’s music on “Free Spirit” easily fades into the background as he sings about his bad luck in relationships. On “My Bad,” the R&B singer once again utilizes an indistinct faded guitar beat as Khalid’s murmuring vocals ramble on about another failed relationship. The artist’s first big hit, “Location,” resonated with teenagers, and Khalid seems to be trying to recapture this relatability with lines such as, “We was cool, yeah, we was vibin’, Gotta put my phone on silent.” Unfortunately for the artist, a quick reference to cellphones may not be enough to win over the attention of teenagers, or any listener, when the instrumentals blend together so easily. The album’s next somewhat redeemable spot comes on “Better,” a single off of Khalid’s 2018 EP “Suncity.” With help from Norwegian production team Stargate, which has produced hits such as Katy Perry’s “Firework” and Julia Michaels’ “Issues,” “Better” churns out a somewhat momentous instrumental. Khalid extends his vocal range and challenges himself with a hummable beat that catches the listener’s ear. However, the clichés keep rolling, and Khalid makes little to no push in terms of the underlying message as he talks about seeing his lover shine in the night like a diamond. Songs such as “Bluffin’” and “Paradise” fall prey to the same mistakes as many other tracks, making it essentially inconsequential to deeply dive into them. 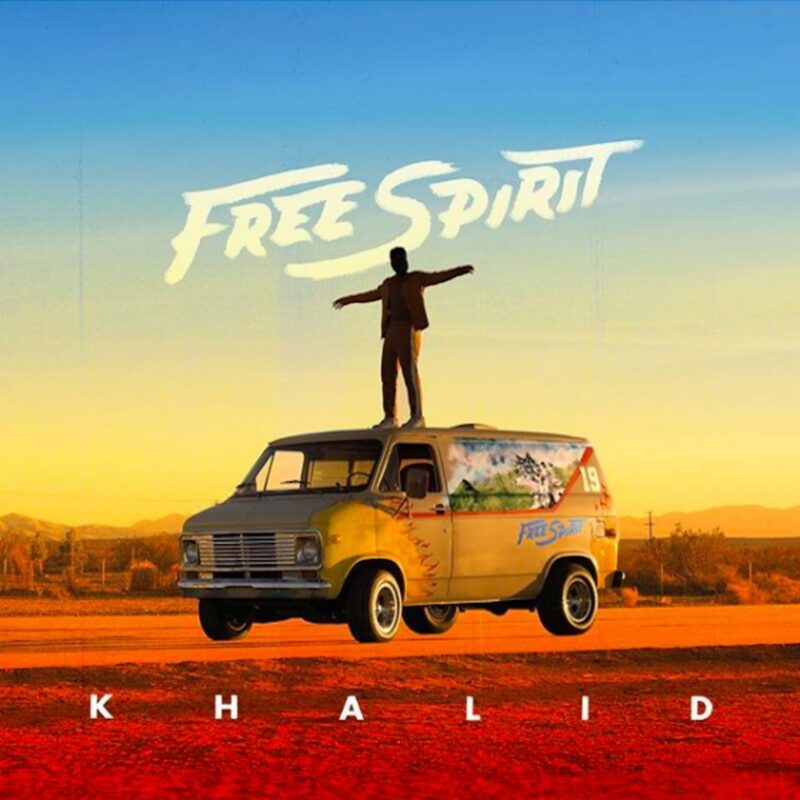 This ordinariness across the board is exactly what plagues Khalid’s “Free Spirit.” As opposed to telling angst-fueled stories that bring the listener to their teenage years like he did on “American Teen,” Khalid tones it back with very general, meaningless adages. Instead of testing the waters with bouncy, sleek instrumentals such as “Let’s Go” from “American Teen,” Khalid settles for colorless and dull background music. Khalid still has an incredible voice, and an artist of his caliber will always have smooth production that at least makes the music listenable, but the magic of an honest teenager entering the music scene seems to have been replaced with just another indeterminate pop star.